"Young Kitten and old Dog"
...but at first we will tell a couple of words about the site of the project, its purpose and the maintenance. Briefly - for those whom laziness to read the literary version of our history. The purpose of the site - to be the information beacon, the card of creativity of independent people of art. The basic directions submitted here are music, cinema and literature.  The site contains the independent sections belonging to projects ("Young Kitten and old Dog", "Samodelnyj_Glaz") и and to groups ("Lantern", "Vice Versa"), to separate persons (G, 2B, CK) and to public projects, as network (the project "DREAMS", "365 reasons of to live"), and real ("Irpen Film Festival", "New - well overlooked old"). Owing to the modular structure the site has no general design, however, all its components are strongly incorporated by the concept of noncommercial art. The site is constructed by a principle of a labyrinth, where each picture can serve as pass on the following level of access to the information that is made in order to prevent mass character of using by resource and for preservation of its unofficial spirit. On the site exclusive songs, films, rollers, photos are accessible to free downloading. The reference to the sitemap is practically on each page. On the map it's possible to find direct references to all or nearly so all key sections of a site. Let's note, that the first web-page of project "YK&oD" was opened on summer of 2000. The independent official site www.G-2B.com was opened since 9th of May, 2003. And began all from the uncompleted poem which soon should be embodied in a new song of the poet beginning on that time and the musician 2B. It was a middle of April of 99-th year. 2B had visited her girlfriend and read lyrics of new song written by dark blue ink on a scrap of a paper. Something in words the songs, named after "Her day", had deeply touched G. And here in couple of weeks, before her birthday, on April, 27 at home studio 2B ("BGC") this first song - song birthes of project "YK&oD" has been written down: Young Kitten and old Dog, by whom had named itself in music G and 2B. The sound track "Her day", as well as the majority of songs of the first album, has been collected from samples and loops collections "groover". 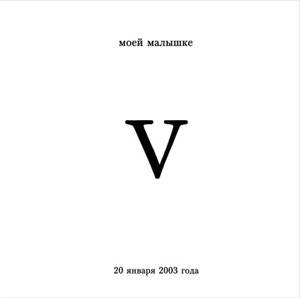 The sound has turned out good and soft, experience of the four solo albums by 2B (1998-1999 гг. ), and also the project "Vice Versa" has had an effect. All 13 songs of the first album which completed and has issued on October, 9, 1999, have been written and produced in studio for six months. And certainly, during this time relations of G and 2B became closer and deeper. Album named "He and She" has been devoted to all people in love of the world. In fact the musical album was a fruit of love of two young people. Next year 2B worked basically above the fifth solo album. Within the framework of project "YK&oD" some songs have been written down all: "Reflections on a theme...", "When I was twelve" and "Euphoria". At the same time there was an output of "Young Kitten and old Dog" in a world global network: the first official site of the project has opened, some songs and lyrics of an album "He and She" are placed for free downloading. 2001 became wonderful year in history of collective. G has agreed to leave in marriage for 2B, and at the end of April they have got married. Now, when Young Kitten and old Dog have lodged together in a new place where the technical base of studio, certainly, has been transferred, work above music has renewed with renewed strength. 2B experiments with alive tools, using in record acoustic ("together", "new hope ","forgotten") and electric guitars ("stop! ", "abnormality" and so forth), and also various synthesizers. In the beginning of 2002 year project "YK&oD" opens for itself a new direction of creativity - cinema. The push to this is given by work above film on materials of wedding G and 2B. The film documentary, however, is mounted in maximum game key, with an abundance of the author's text and music, including own. Now work is conducted already in several directions simultaneously. In the end of year "Young Kitten and old Dog" presented second album - "WE" which devoted to themselves, to the union, continuing the theme of love started in the first album. Style of execution remains former is soft rap, however music as already it has been told above, abounding with alive tools, can be attributed more likely to alternative, than to hip-hop. During creation of an album Young Kitten and old Dog were made videoclip on a song "Even if you are another". Besides in 2002 "YK&oD" made the documentary film "Do you remember? ", based on chronicles of celebrating of the 50-anniversary of the Kiev State University of Physical education and Sports. In the beginning of 2003 year daughter of Young Kitten and old Dog was born. In day of her birth the fifth 2B's solo album - "V" - released and devoted to this great event. Soon young daddy and mom begin work above a documentary - fiction film "Nonprofessionals". The film-concert, film-interview, a film-clip describes ideas and creative aspects of a life of several ukrainian musical groupes ("Young Kitten and old Dog" are among them). Thus, "Nonprofessionals" is also autobiographical film of the project. 9 May opened the new official site of "YK&oD". By this time songs of collective are already widely distributed in networks, and quantity of their copies which downloaded from various pages, has passed for seven thousands. 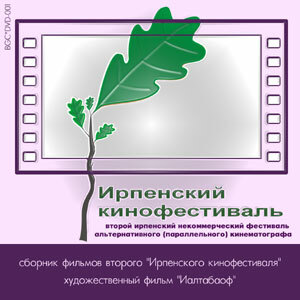 In the summer of 2003 year project "YK&oD" organized film festival of alternative cinematograph ("Irpen Film Festival") where has passed the premiere of "Nonprofessionals" on the big screen. The push has been given to film, and soon enough it was distributed on the Kiev region. The second event became opening the project "DREAMS" also organized by G and 2B. Result of that was in the beginning of 2004 year the network literary novel "DREAMS". Virtual single - "Rain" - first song of the new musical album. In single were included the newest song of 2B, and also a flesh-roller with an electronic composition "exp-23-08-03" as b-side. In the spring and summer 2B, together with musicians of group "Lantern", works above new film with name "Ialtabaof". The premiere of the film has passed on the second "Irpen Film Festival". Since 20 till 24 of March in Murmansk (Russia) passed the second Russian-German youth festival of cinema and photoart "Dialogue of cultures". Our films "Nonprofessionals" and "Legend" have been selected for competitive viewing. Besides 2B has taken part in work of international film-group which result to the world was the musical videoclip successfully shown on closing of festival. From the moment of a spelling of the literary story of film "She?" (March 6, 2003) in minds of Young Kitten and old Dog are formed and ripen ideas of an embodiment of a story in life, i.e. in film. The script was changed by 2B, dialogues became more real, composer (Eugene Krasnov) worked at music to film. The potential energy passes into cinematic in spring of 2005. The process of filming begins. 22 of June at one o'clock the film was born (ending of installation, record and clearing of the sound, imposing of special effects, credits and etc). The premiere of the film has passed during opening third "Irpen Film Festival". 2 July began the third "Irpen Film Festival" on which 30 works of the Ukrainian, Russian and German cinematographers have been shown. The festival last two days. As first collection of the films, the second has been issued on DVD. It's too hard to write the history in two different languages, that's why we remove some informaion and some time. In the middle of May 2007 music video on the song of 2B "Sleep, baby!" was made by G & 2B. At 23d of June the fifth "Irpen Film Festival" began. 35 movies from 15 countries was shown on it. The festival last two days. Before the IFF the DVD with films of IFF-4 was produced by project "YK&oD". At 7th and 8th of June, 2008, the sixth "Irpen Film Festival" began. 37 movies from 21 countries was shown on it. The festival last two days. 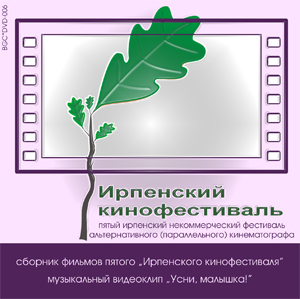 Before the IFF the DVD with films of IFF-5 was produced by project "YK&oD". G and 2B are standing face to face to each other and looking in one party, remaining are true to the motto: "True art is far from commerce", continuing to create for themselves and to share with all. © 1999-2008 "Young Kitten and old Dog". Designed by 2B. Use of materials is welcomed under condition of the reference on www.g-2b.com.